Home » Who Was...? : Where Is Easter Island? Who Was...? 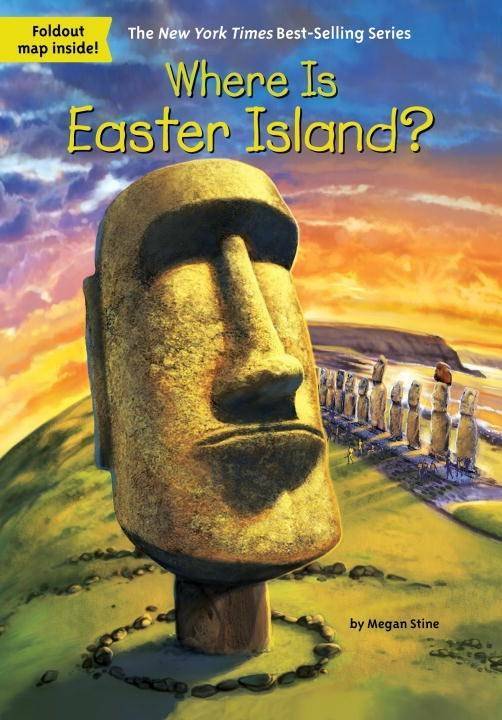 : Where Is Easter Island? Uncover the secrets of the mysterious giant stone statues on this tiny remote Pacific island. Easter Island, in the middle of the Pacific Ocean thousands of miles from anywhere, has intrigued visitors since Europeans first arrived in the 1700s. How did people first come to live there? How did they build the enormous statues and why? How were they placed around the island without carts or even wheels? Scientists have learned many of the answers, although some things still remain a mystery. Megan Stine reveals it all in a gripping narrative. Series Overview: A natural expansion of our exceptional Who Was? and What Was? series, Where Is? covers world-famous landmarks, buildings, and natural wonders.